Father, Harold Norton Turner, was Superintendent of Transportation for the Union Pacific. Fernwood Grade School, Portland, Benson High School, and two years at Oregon State College. Forty years later, earned an Associate degree in Science at Portland Community College. Now teaches folk dancing in the PCC adult education department. Married on October 16, 193& to Elizabeth Ellen Jones. An unofficial part of his duties as a passenger brakeman was pointing out scenic and historical features to passengers in the dome car. When Dr. Ruth Hobson (Keen) rode with him one trip, she introduced him to the geological aspects and a new way of seeing. Further information sought at PCC led to Geology classes there and information about the Geological Society and membership in 1972. Joseph D. (Joe) Beemer was born July 8, 1928 at Lagrange, Wyoming. Parents, Alpheus H. and. Myrtle Loft is Beemer, were born in Nebraska. The father was a Midwest farmer. The family moved to Oregon in 1929where he worked as a carpenter, a welder, and a logger. Joseph Beemer has lived in Oregon and Washington since then except for about one year in Nebraska. He attended high schools in Oregon, Washington., and Nebraska; the University of Oregon; took additional courses at Portland State University and Portland Community College. He received his CPA in 1959. Married Barbara C. (Connie) Jenks in 1946. Occupation: Accountant, CPA 1946 - present. Became interested in geology about 1970 because of financial interest in a Canadian copper mine. Taken three terms of Geology at Portland Community College. Became a member about 1972. Ruth Hopson Keen was born June 19, 1906 in Sayre, Oklahoma. Parents: Edwin L. Hopson and Willie A. Hopson. Moved to Oregon before my fifth birthday. Attended grade school and high school in Marshfield (now Coos Bay), Oregon. Graduated from Marshfield High School in June 1924. Graduated from Oregon Normal School, Monmouth, Oregon, September 3, 1926. B.A. degree from University of Oregon, Eugene, Oregon, September 28, 1931. M.A. degree from University of Oregon, Eugene, Oregon, June17, 1935. Ph D. degree from Cornell University, Ithaca, New York, June 23, 1946. Honoraries: Sigma Xi, Pi Lambda Theta, Sigma Delta Epsilon. Sorority: Zeta Tau Alpha. Taught grade school, junior high and high school in Oregon public schools from 1927 -1939 in Marshfield, Salem, and Eugene. Taught forthe Division of Continuing Education, Oregon State Systemof Higher Educationfrom 1941 - 1971. Subjects were geology, natural history, and conservation. Directed teachers workshopin conservation for fifteen summers. Was Ranger Naturalist, Crater Lake National Park, June 1947 and Naturalist for the Crater Lake Field School of Nature Appreciation, University of Oregon the rest of that summer. Was Ranger Naturalist at Lava Beds National Monument the summer of 1953. Taught Natural History of Oregon on Educational T.V. Channel 10, Spring Term 1963. Was Nature Counselor, Camp Chaparral, National Girl Scout Leaders Training Camp, Big Basin, California, summers of 1931, 32, 36, and 39. Retired fromthe position of Professor of General Science, Portland, Center, Division of Continuing Education, Oregon State System of Higher Education, June, 1971. Awards: 1964 Beaver Award for Conservation Education from the Oregon Division of the Izaak Walton League of America, Inc.
1964 Certificate of Award for Outstandingwork in Soil and Water Conservation. Presented by Oregon Chapter, Soil Conservation Society of Oregon. 1977 Northwest Federation of Mineralogical Societies award winner for the American Federation of Mineralogical Societies Scholarship Foundation. This is presented for distinguished achievement in the field of Earth Science. (First woman selected for this award). I had the privilege of choosing two students to receive scholarships toward Masters degree, one for $2000 and one for $1000, both from Portland State University, for an Earth Science Department Fellow and the American Association for the Advancement of Science. Honorary Member Tualatin Valley Gem Club. Western Division: Vice-president 1952-53.. President 1953-54. National : Vice-president 1952-53. President 1954. President-­elect 1960. President 1961. Board member 1955 and 1962. Oregon Academy of Science: Represented the Oregon Academy of Science on the council of the American Association for the Advancement of Science at Cleveland in 1950, Philadelphia, 1951, St. Louis, 1952, and Boston, 1953. National Association of Biology Teachers: Board member 1952-54. Chairman for Oregon 1951-52 for Region IX (Oregon, Washington, California) 1953-54. Committee for preparation of Handbook for Teaching of Conservation and Resource Use, assisted in processing material for this handbook in Boston, December 1953, book was published 1955. Title - Conservation Handbook. Northwest Bird and Mammal Society: Vice-president for Oregon 1957-58. Nature Conservancy: Chairman of Oregon Chapter 1 967-68. Member Pacific Coast Board 1959-60. Mazamas: Have served on Science, Education, and Conservation committees and led field trips, also articles in their annual. 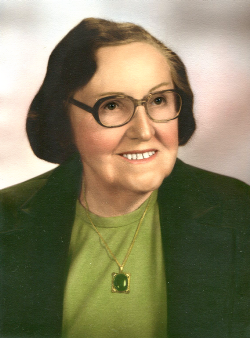 Geological Society of the Oregon Country: Board member 1958-59-60 and 1964-65. Vice-president and program chairman1957. Vice-president and program chairman 1981. President 1982. Born at Philomath, Benton County Oregon on October 25, 1913 as Francis Clair Stahl. Parents : Charles Myron Stahl, a teacher, and Evadna Elizabeth (Springer) Stahl, a teacher. After graduating from Bellfountain High School, Benton County Oregon, in 1932 and trying various sawmill and logging jobs, enlistment in the US Army 29th Engineer Topographic Battalion, then stationed in Portland Oregon, on June 25th 1938 I had the opportunity to learn mapping from Aerial Photographs and by Survey methods. Discharge from the US Army was after WW2 on October 31, 1945. As a Civilian working for the Corps of Engineers with an appointment of Photogrammetric Aide, I married Marguerite (Peigi) S. Schatter on August 24, 1946. A year — 1947 — at Vanport Extension Center then back to the Corps of Engineers in Surveying and later Topographic Drafting. April 25, 1955 found me transferred to the US Forest Service, Surveys and Maps Branch in Portland Oregon where summer field work and winter in the office was the usual regimen. Later field work was eliminated and plotting and producing maps of all sorts was our responsibility. While at Vanport Extension Center I enlisted in the US Army Reserves in June 1947. For the next 25 years, with Artillery, Transportation Corps and Training Battalion assignments the reserve affiliation was maintained until 1973 and retirement from the US Army as a Chief MSG. Retirement from the Civil Service on March 10 1978. My Hobbies of Photography and Natural History especially Geology and Conchology led me into several night classes in Geology at Portland State University to learn why the hills and streams were there in that particular place. June 1964 Peigi and I joined the Geological Society of the Oregon Country. Peigi has been Editor twice and I was also President in 1974. Portland, Oregon is my native birthplace and home. My early education began at the Rose City Park grade school and then at Washington high school. Before I was graduated from high school, my parents being of Belgian descent and religious background thought that I should attend a private school in order to add Christian training to my education. So I was enrolled at Seattle Pacific College (now University) where I obtained a Normal School certificate to teach in grade school. I continued in school there and obtained the Bachelor of Arts degree and added high school teaching certification. Since I had become enamored with the scholar's program, I decided to complete the Master of Arts requirements at the University of Washington in liberal education. My major was Literature with minors in history, speech, and education. Drama and communications were high in my choice of electives and extra-curricular activities. My first teaching position was in 1932 at Cul de Sac, Idaho, where I not only taught English, Latin, and Home Economics, but also was Dean of Girls. I gained many friends with whom I have corresponded these many years. My next position was at Kent, Washington. Having come from a school where the student body was half Indian, I soon found myself teaching classes with fifty percent Japanese or Nisei young people who were extremely studious and not so sport minded as the young braves of the Nez Perce. I still treasure some of the meticulous pen and ink drawings made by the drama and Shakespeare class students. And can you imagine putting on the Gilbert and Sullivan operetta, "Pirates of Penzance" with half the cast being Japanese? But we did, with aplomb and what the community said was great success. While attending summer school at the University of Washington, I received a letter requesting that I apply for a position at the Canby Union High School. I did, and in the fall I was not only teaching English and dramatics but was assigned again to be Dean of Girls. Clerk Belton, later Senator Howard C. Belton, seemed adamant that that was where my niche was. Several years before this, I had taken a two day test given for prospective Portland teachers. During the summer while vacationing in San Francisco, I received a letter from the Portland School Board stating that out of the 250 who took the test the nine that were ahead of me had been used up and that there was now a vacancy in the English department. Should I wish to accept this position, I was to report for work early in September at Roosevelt High School. I returned to Portland, resigned from the Canby Union High School, found an apartment in town, went to Roosevelt High School, met and later married my husband, Louis Oberson, and automatically became a member of the Geological Society of the Oregon Country of which he had become a charter member three years earlier. We bought a home near Grant High School where I had been transferred because at that time a husband and wife were not allowed to teach in the same building. After teaching at Grant for several years, I was again transferred to Franklin High School without my willing consent or Principal Bitner's. Superintendent Jack Edwards said that I was to initiate a speech and drama department there. It seemed I had the qualifications and KBPS was in need of trained students and broadcasting was an attractive new job opportunity. We filled the bill with a number of students who have made the field of communications their life's work. A group of us keep in touch and meet for lunch in the summertime - still. They are my boys and girls even though they are in their fifties. I hear about their year's activities at Christmas time. I finished my public school career by teaching evening Veteran's refresher courses at Lincoln High School. However much I enjoy the classroom, it was time to think about having a family, but as usual, two things happened. Going to a Geological Society Luncheon meeting at the Chamber of Commerce building, I met Dr. Courtland Booth, a close friend and member who escorted me up the long flight of stairs. He surprised me by revealing that he would be delivering a baby to be born soon and if we were interested in adoption to let him know; My attention was not on the speaker that day. Upon going home after the meeting, Dr. J.C. Stevens took my arm and as we walked down the stairs said, "Viola, I'm going to start a museum for the state of Oregon and I want to set up an office. Will you come and be my assistant?" What a dilemma this presented! We decided to do both. I hired a substitute mother for the hours I was away from home. We had the best of both worlds - a beautiful baby girl and I was able to help Oregon's Museum get started. After occupying an extra office space for one month, Aaron Frank asked where we were located. My response was not too enthusiastic as I told him we had no room to display any objects to the public to let them know we needed a museum. "You can have the writing room of the Portland Hotel for your office if you want it. We'll see about using the windows of the store to let Oregonians see all your displays." He gave me wings and sky both for that was the beginning of what the five civic organizations put together as an initial effort to make a Museum of History, Science, and Industry for the state of Oregon. Dr. Stevens contributed the rest of his life and a fortune to make it a success. My booklet entitled, "One Man's Dream Becomes Community's Push Button Project," was written in his honor and it was distributed at the dedication of the present Oregon Museum of Science and Industry (OMSI) building and later sold in the book store. Several of the science related organizations bought five hundred copies and gave them to their members. After working full time for two years it was time for me to quit and become a full fledged mother. It was also time for OMSI to engage a museum specialist and fund raiser to try to take some of the burden from Dr. Stevens. The William T. Hornaday Foundation supplied John Ripley Forbes and again we thought we were off to a flying start. The Museum did take off but in an entirely new direction from the original dream of which Dr. Edwin T. Hodge spoke in his inaugural address to the Geological Society, "It is my dream that this Society establish a natural history museum that would become the Smithsonian of the West. " Since we had known Alonzo Wesley Hancock for many years and I had assisted him in the making of his will for the assignment of his paleontological collection to OMSI upon his death, his wife, Berrie, asked me to write an account of their lives. Lon gave his first display of skeletal bones from the Clarno Mammal Beds as a promotional feature for a museum for Oregon while we were located in the Portland Hotel. My brief account of this import­ant amateur paleontologist was published in the October 1979 issue of the OREGON GEOLOGY magazine by the State Department of Geology and Mineral Industries. Through the years, I have found time to cultivate many friends in different professions. Upon invitation, I was accepted as a member of the Professional Woman's League- a league of women active in their many various professions. In 1972, I became their 60th president. Again through the invitation of friends, I was invited to attend the meetings and later asked to join the Pi Omicron Sorority - a literature and fine arts study association of interested women. This group had its inception in 1929 through the University Guild. I have served twice as president - 1971 and 1981. Both of these fine organizations have enriched my life and I have gained many Close friendships. It was also my privilege to be affiliated for many years with the Soroptimist Club and the University Women's Association. Presently I am associated with Ikebana International and am also enjoying my membership in the Japanese Gardens. The Geological Society of the Oregon Country has been a family affair with us. Mary Lou attended most of the outdoor activities until she finished high school. Louis and I have taken many related classes. He has held a number of offices in the Society and was president in 1970. I have been in charge of the annual picnic, banquet, and have written articles for the newsletter, helped with the memorial book purchasing for the library, staged many of the programs at different events, participated in panel discussions, and lectured to the Society. I was appointed historian in 1969 and served through 1976, and was elected editor of the Geological Newsletter from March 1972 serving through February 1976. At the Society's Banquet in 1976 President John H. Bonebrake presented me with a certificate which stated that the Society designated me as "A Fellow of the Society." This was indeed an honor. Upon submitting two copies of The Geological Newsletter that I had edited to the Association of Earth Science Editors, I was accepted as a member in this national organization. In 1978, Laurette Kenney resigned as Luncheon Program chairwoman and recruited me to take her place. I served in this capacity until 1981 and was then appointed Luncheon Chairwoman. All the while it was my privilege to supply the luncheon members and guests with 140 speakers and have presided at that many luncheons to which 7,636 people have attended. The members of the Society have now elected me to be their 50th President! Truly, it is my crowning achievement even though I never dreamed of it happening to me. I always have been happy in the work I was doing at the moment. The historical contributions of those who have served is as awesome to me as are the challenges to be accomplished in the future. Albert and Ruth Hopson Keen were the first couple, each of whom has served as President of the Society. Louis and I are now the second team to be so honored. We feel especially privileged in that we have personally known and count as our friends all 48 of the presidents and their mates who have preceded us!